Simple yet elegant. 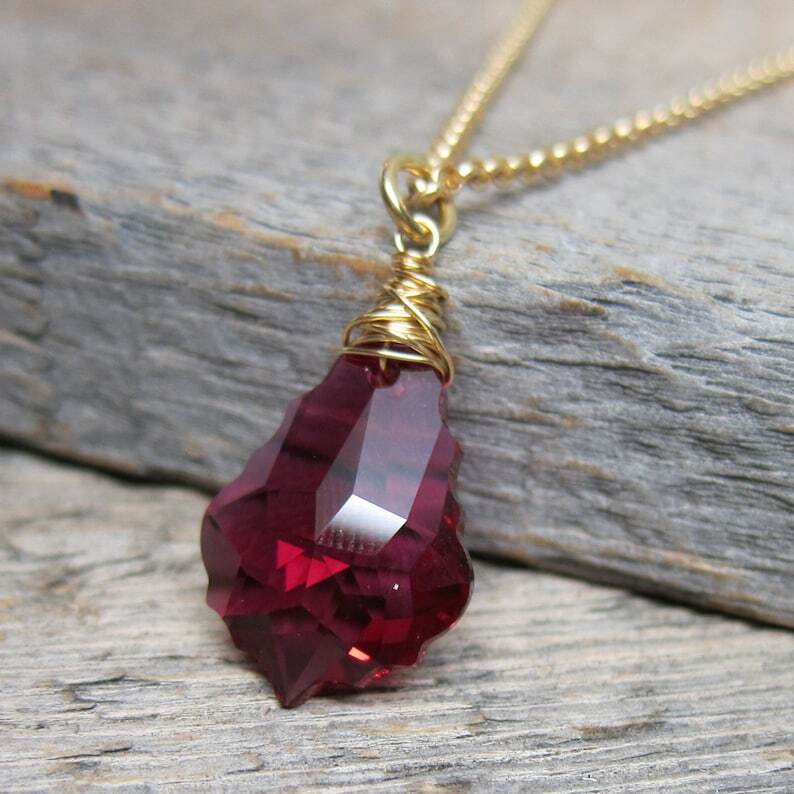 Baroque Swarovski crystal in raspberry ruby is wire wrapped with golden red brass and strung onto a delicate matte gold rolo chain that measures 18” plus the extender at the clasp. 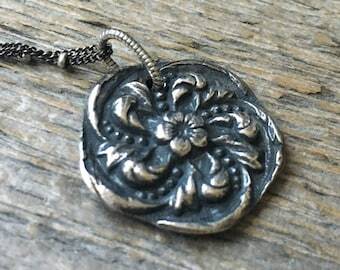 Pendant is 1.25” high.